With their successful debut album (‘HVOB’, 2013) and five EPs, HVOB have crafted a unique panoply of sound: intelligent and driving, challenging and melodic. ‘Trialog’, the second album by the producer duo Anna Müller and Paul Wallner, will be released on April 17th. The remarkable story of HVOB began in April 2012. With the idea of making an entirely new kind of electronic music: intelligent, sophisticated, emotive and melodic. This idea led to four snippets which were uploaded to Soundcloud – causing an immediate sensation in Europe. Their first EP (“Dogs”) was released in summer 2012. Then came the debut album in spring 2013 (“HVOB”), glowing reviews by critics all over Europe, Top 15 in the US Billboard Charts’ “Next Big Sound” category, several number 1 chart entries on iTunes, number 3 in the Beatport charts. 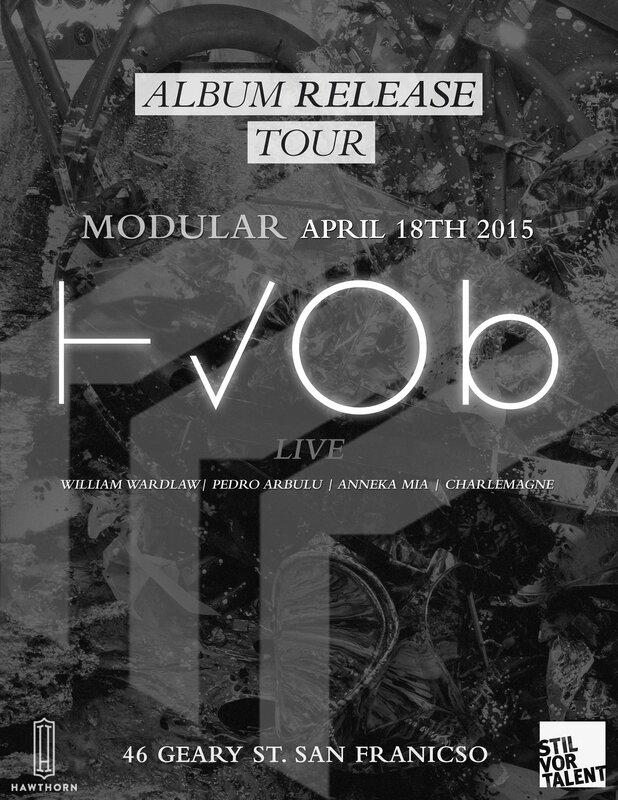 HVOB are carving their own path not just with their distinctive sound but with their live performances as well. The duo always play live and perform with a drummer – a concept as innovative as it is successful: HVOB have just been voted number 2 best live act by the most influential electronic music magazine “De:bug” in Germany – beating off big acts like Darkside (Nicolas Jaar), Mount Kimbie and Disclosure. The Vienna-based duo have already appeared live in over 20 countries in Europe, Africa, South and North America, including performances at the Elie Saab Show during Paris Fashion Week, Berlin Fashion Week and the most important European electronic music festivals such as Melt! and Fusion and also made their US debut at the SXSW festival in Texas last year.